Leana is a traditional range of chandeliers and a single wall lamp finished in Satin Nickel, designed around vintage inspirations. The fitting brings a modern element in the form of beaded crystal strands paralleled from the centre column along the arms, combined with crystal droplets hanging from the arms and sconces. 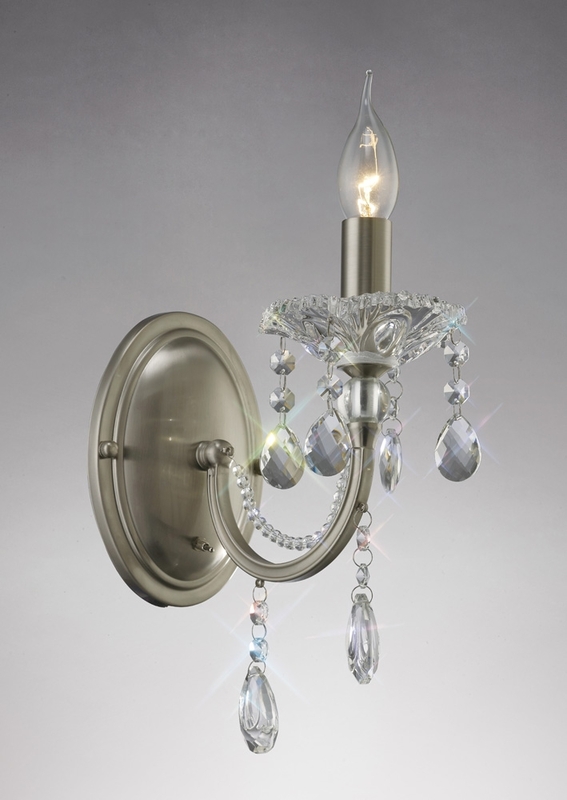 The substantially sized pendalogue crystals displayed at the bottom of the frame create an eye-catching centre piece.